If you’re still reeling from the season finale of The Walking Dead and wondering who Negan may have just removed from our lives, they you might want to tune in to the companion show Fear the Walking Dead. Set during the time that Rick Grimes is in his coma, the show follows a family across the States in LA. Season 1 sees the blended family experience the very start of the zombie apocalypse and how humanity copes with the end of the world. Season 2 picks up just hours after season 1 ended and sees the family join mysterious character Victor Strand on his luxury yacht, the Abigail and head to sea with the intention of docking in San Diego. What they soon realise is that it is no safer at sea as it is on land. Season 1 started quite slow, despite only having six episodes. The last two episodes really kicked of the action and season 2 carries on where it left off. This is a brilliant start to the series, plenty of action, and way more zombies. There are a few jumpy moments too. I can’t wait to see where this series goes. With 15 episodes I’m sure there is going to be plenty to keep us entertained and on the edge of our seats. Watch the official trailer for season 2 below. If you fancied a tour of the Abigail, you’re in luck, because AMC has created a 360 degree tour of the luxury yacht. Check it out here. 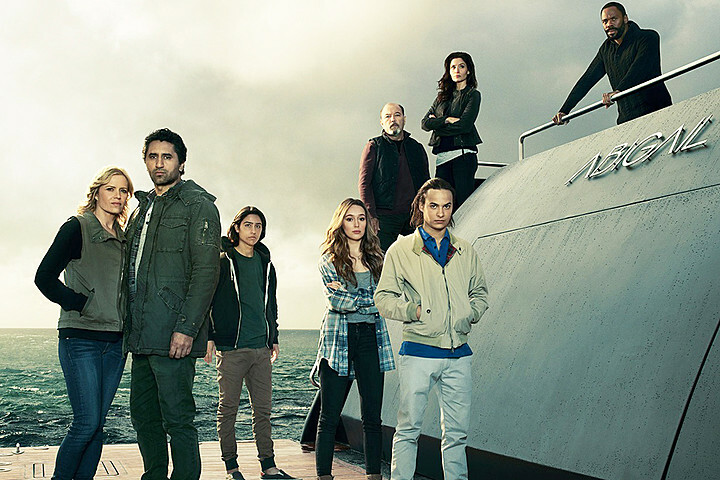 Fear the Walking Dead airs on Mondays on AMC, exclusive to BT. Tune in at either 2am to watch at the same time as the US or 9pm. Disclaimer: as part of my day job I work on BT and AMC but I am not paid to write blog posts or asked to write postive reviews. All views are my own.